Invisalign is a fantastic orthodontic treatment that is an alternative to traditional braces. However, much like braces, Invisalign aligners do need special care in order to function correctly. 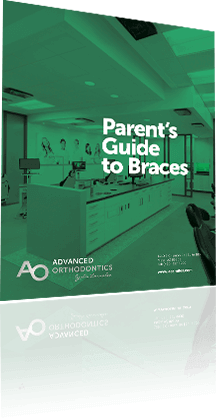 Below you can find some simple how-tos for common questions regarding your Invisalign treatment. How Long Should I Wear My Invisalign Aligners? While removable, Invisalign is meant to be worn for long periods of time in order to progress correctly. Always wear your aligners per Dr. Larrabee’s instructions, usually 20-22 hours per day. They should only be removed to eat and when drinking anything but water. To help avoid confusion, each aligner and aligner bag is marked with your unique case number, a “U” for upper and “L” for lower, followed by the tray number. When inserting each aligner, gently push the aligners over your front teeth. Then apply equal pressure, using your fingertips, to the tops of your left and right back molars until the aligner snaps in to place. Do NOT bite your aligners into position. To remove aligners, on one side of your mouth, use your fingertip on the inside of your back molar to slowly pull the aligner from your molars. Once the aligner is disengaged from the molars on both sides, you should be able to slowly work your way forward with your fingertips to remove the tray completely. Clean your aligners prior to each insertion. Use a soft bristle toothbrush with water and a small amount of toothpaste. Be sure to rinse each aligner thoroughly with water after each cleaning. Remove your aligners to eat and drink. (You do not need to remove your aligners to drink cool water.) Brush and floss your teeth after each meal or snack prior to re-inserting your aligners. If your aligners are not in your mouth, they should be stored in your Invisalign case. Always keep aligners out of reach of children and pets. Aligners should not be left in extreme temperatures to avoid distortion. Make sure to keep your regular dental checkups and cleanings during the course of your treatment. Always let your hygienist know that you are in Invisalign treatment and not to remove your attachments. Aligners should be changed as instructed by Dr. Larrabee. It is best to change to your new aligner after dinner, as your trays are most effective in their first 10 hours. The most discomfort is experienced during the first few days of treatment. Similar to how your cheeks would need to adjust to braces, your tongue will need to adjust to your trays. Warm salt water rinses and Tylenol can be used for discomfort. It is essential that your aligners fit well so that your treatment progresses as quickly as planned. To use a chewie, place it between your teeth and bite down. Bite and hold for at least 10 seconds before releasing. Proceed to move the chewie from one end of your mouth to the other, continuing to bite and hold, until you have bitten on all your teeth. Continue to use your chewies for the first two days of each set of new aligner trays. In the event that an aligner is lost or broken, you should immediately inform our office. You can proceed to your next tray but will need to wear it for the additional days that you would have worn the previous aligner. If an attachment comes off, contact our office and we will schedule an appointment to replace it. Continue to wear your trays full time. It is always best to keep your previous 3 trays. Should trays start to not track correctly, immediately call our office for an appointment and go back to the tray that fits properly.